In the wake of fraud charges against a licensed gold dealer, the Ministry of Natural Resources Tuesday night said the newly-appointed directors of the Guyana Gold Board (GGB) have been tasked with investigating whether anyone from that entity has been stained in the alleged dealings. “As a consequence of these reports, the Ministry will maintain its vigilance over the operations of the Board and will task the incoming Directors with the immediate task of probing this and related matters as to whether anyone from the agency acted improperly or outside of their mandate in conducting business with said licenced gold dealer,” the Ministry said in a statement. 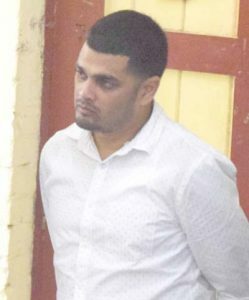 Licensed gold dealer, Saddiqi Rafeek Mohamed Rasul has been charged with allegedly defrauding the Guyana Bank for Trade and Industry (GBTI) of GYD$956 million in six separate tranches between March 21 and 22, 2017. Police said he allegedly falsely pretended that that he had cash in his account at Citizens Bank to honour the Citizens Bank cheques he had presented to the GBTI Bartica branch. The members of the Guyana Gold Board are Gabriel Lall (Chairman), Dela Britton (Vice Chair) and other members- John Yates, General Manager of the Guyana Gold Board, Lisaveta Ramotar; the Legal Officer of the Guyana Gold Board and representatives of the Guyana Gold Board and the Guyana Gold and Diamond Miners Association. Their tenure is from March 1, 2017 to February 28, 2018. One day after he was granted GYD$3 million bail, the privately-owned Kaieteur News newspaper reported that Rasul was allegedly selling gold to the Gold Board often, several times some days, and even purchased the yellow metal above the London Fix, deposited and withdrew millions of dollars from his company’s bank account, and allowed to pay only the five percent royalty and not the two percent tax. Against the background of those reported allegations, the Ministry of Natural Resources said it noted the reports of the alleged bank fraud and has since contacted the Guyana Police Force about the “alleged linkages with personnel at the Guyana Gold Board.” “We have also requested the Guyana Police Force to provide additional information and clarification with a view to aiding the investigation,” the Ministry of Natural Resources said. The Ministry of Natural Resource assured that it is committed to transparency and accountability within the natural resources sector and will be fully engaged with the authorities in addressing any matter of impropriety in the sector, and in particular, to ensure that the Guyana Gold Board is a credible and reliable institution of State. News of the alleged financial improprieties in the gold mining arena has come at a time when Guyana is advancing preparations to join the Norway-headquartered Extractive Industries Transparency Initiative (EITI), a global anti-corruption agency that serves as a watchdog over the natural resources sector in several countries. The United States (US) has been in the forefront in preparing Guyana for transparency and accountability ahead of planned commercial oil production in 2020. Police accuse Rassul of receiving money under false with intent to defraud the sums of GYD$290 million , GYD$298 million, GYD$138 million, GYD$45 million, GYD$89 million and $GYD96 million from GBTI by falsely claiming that he had the funds in his Citizens Bank account to allow him to cash the cheques. A GBTI employee has since been sacked.